Tour Our Pricing and Ordering. 6,000 Product Choices Available. All our product categories are on your left. 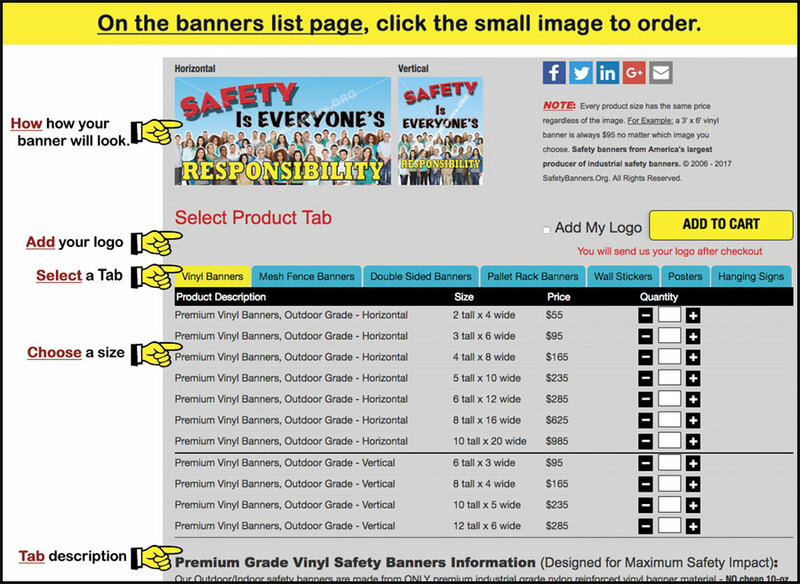 CLICK HERE to see our Most Popular Safety Banners. 1657 Shelby Oaks Drive N.